Iris and I began our business in 1974 as a car, truck and farm equipment repair garage under the name of Larry Renaud’s Garage LTD. We employed an apprentice technician to assist me in the repair shop, while Iris worked in the office taking care of the accounting. 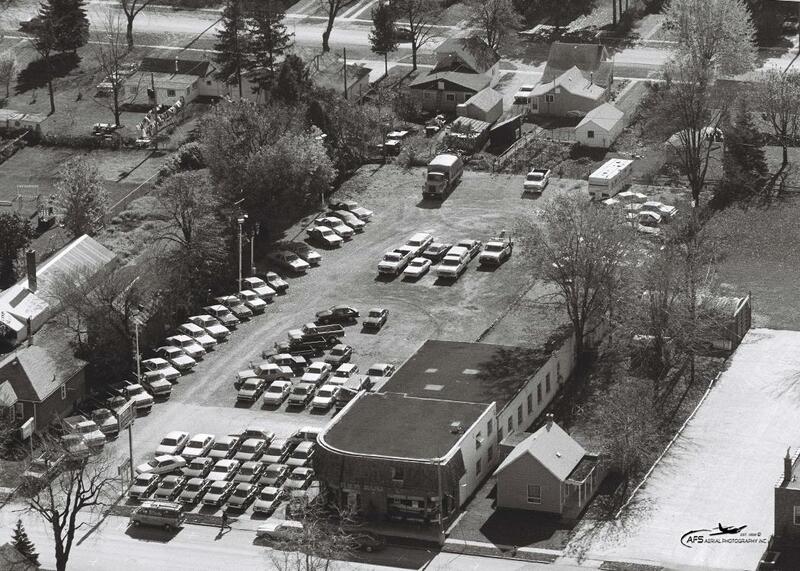 On June 21, 1983 we signed a DSSA (Dealer Sales & Service Agreement) with Ford of Canada. With a growing business it wasn’t long before Jeff, Rob and Tammy joined the team – bringing the true meaning of family business to Larry Renaud Ford Sales. Our friendly and family oriented dealership is something that our customers have grown to love and expect. It was now time to write the next chapter of the Renaud family business so on January 1, 2000 – Larry Renaud RV Sales opened its doors to service its growing customer base. We would now help our customers fulfill their desire to see and explore the great outdoors with their families. Carrying everything from tent trailers to motorhomes – our RV dealership now carries over 200 units to offer to our customers from all over Ontario and Canada. Our reputation for great customer service has grown from our Ford Dealership to our RV Dealership – seeing our customers return time and time again – no matter the distance needed to travel. Our referrals speak for themselves – just talk to any of our satisfied customers – they will tell you about the great service they have come to enjoy and expect. We have been doing business in Harrow for over 41 years and have been awarded the Top Ford of Canada Award for Customer Satisfaction for 31 consecutive years. Our staff today has grown to over 30 employees and continues to grow – now employing a 3rdgeneration of family members. We pride ourselves on our family run business. When you purchase something from us – whether it is a new or used Car, Truck, SUV, Travel Trailer, 5th Wheel, Hybrid, Tent Trailer or Motorhome you aren’t just a customer – you are part of our family. So no matter where your travels take you Larry Renaud Ford & RV Sales has you covered. So come visit one of our showrooms today and join our family – Larry Renaud Ford & RV Sales is here to help you and your family. Stop by Larry Renaud Ford Sales for all your Ford service needs. Questions? Any of our knowledgeable service and sales people can help. Call 519-738-6767. Larry Renaud Ford is committed to making our facility accessible to all our customers, including those with disabilities. If there is any way that we can improve our facility or our method of communication to better serve your needs, please provide us with your comments and/or suggestions via email (jsharp@renaudford.com), phone or in person. We will make every effort to insure that your needs and expectations are met and provide you with outstanding customer service.